Hagar Hamza (best film director award in MisrDotBokra film festival and AFS alumnus from 2016). 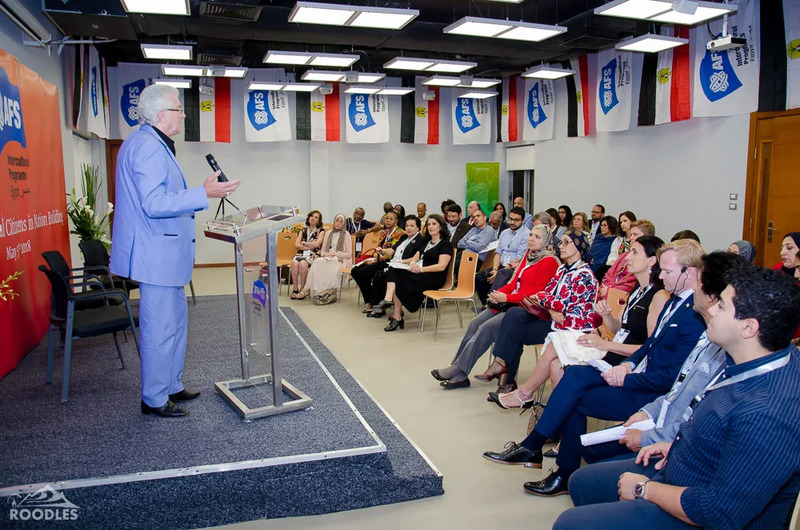 The seminar participants included teachers, heads of schools and universities, leaders in the fields of IT and HR, embassy representatives, as well as partners and friends of AFS Egypt. AFS Egypt Director Sherifa Fayez opened the event by discussing the importance of global competence and introducing audiences to the role global competence education plays in AFS study abroad experiences, which are supported by intercultural learning journeys facilitated by trained volunteers and staffs. UNICEF Goodwill Ambassador and renowned activist Mahmoud Kabil spoke about the need for compassion when connecting with others, and the power of accepting and celebrating our differences. Most of the discussions centered on making the case for global competence as a critical skill for young people to live, work, and contribute to society effectively. This includes helping students understand the importance of ethics, and universal values of equality, respect and diversity. To find out more about global competence, join us at the AFS Global Conference in Budapest (26-28 September).